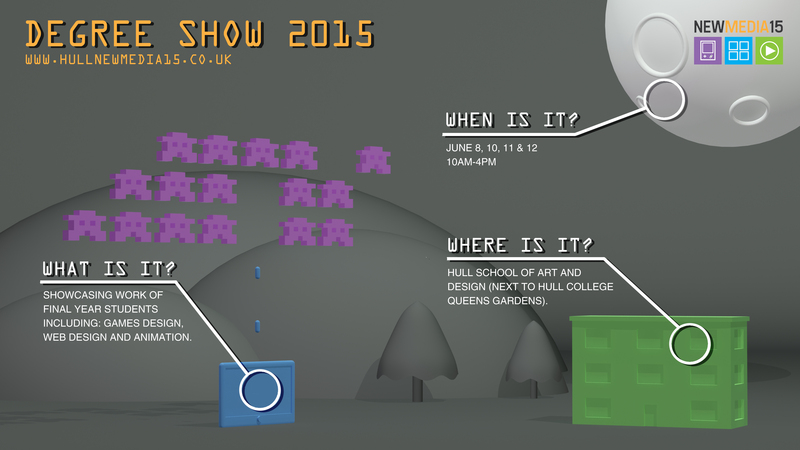 Degree Show Flyer Design Idea. To promote the year 3 degree show that will feature the works of games design, web design and animation, the group was put into teams that were responsible for various aspects of the degree show set up. I was on the team that was responsible for branding and promotion; as well as having ideas for the logo design, I also produced two contrasting flyer designs that were to promote the event for the public showing. 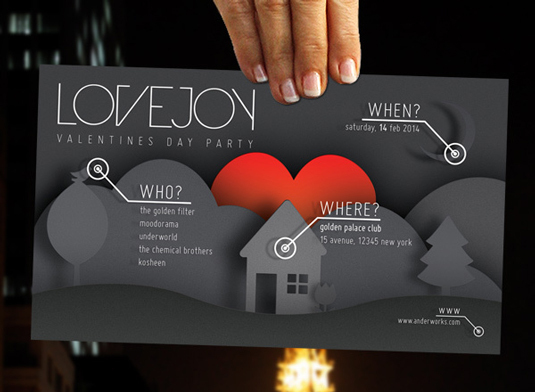 First I did a simple, yet to the point design that featured mainly text and a small map to direct people to the event. Although this design was liked by the majority of my peers that I showed it to, our tutor suggested that a more visual design that somehow promotes what we do and hopefully grabs peoples attention may be a better route to go down. I started to do some research into flyer design on various sites; including the ones below. During my research the design below popped up several times and really caught my eye; it was this design that inspired and influenced me to create my design. 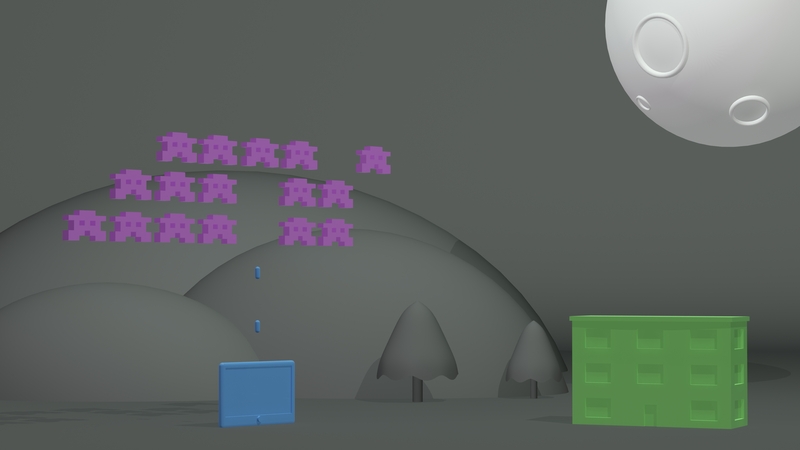 To get a 3D feel to the flyer I used 3DS Max to model a scene that would be familiar to video gamers as well as people who are interested in digital media. 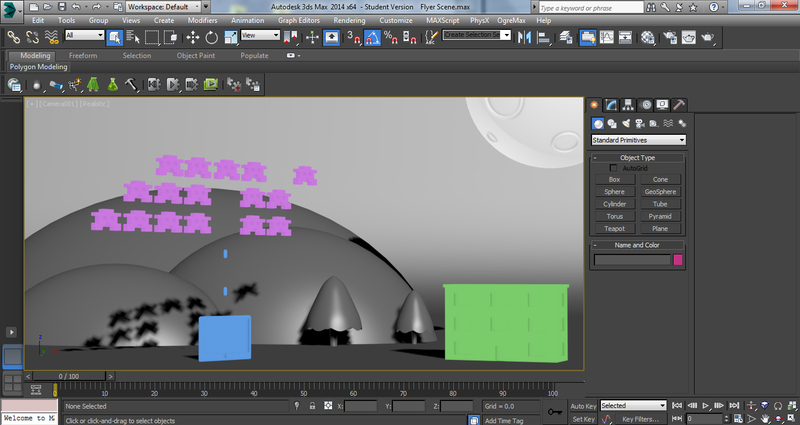 In this scene I set up a landscape and the models that would be part of the flyer scene. 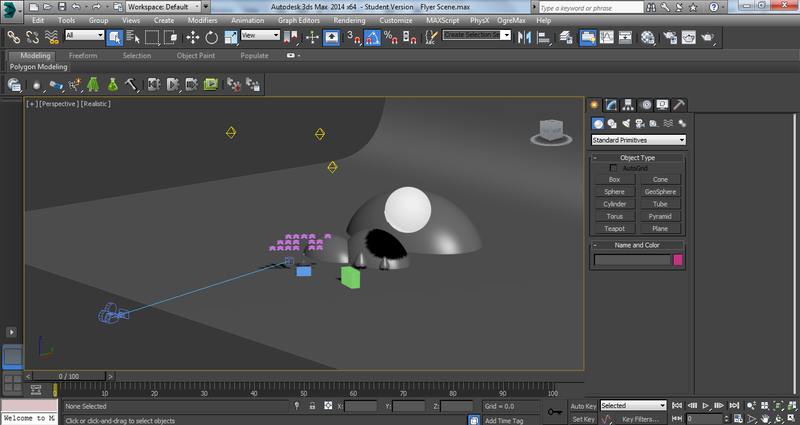 Then I added a target camera and a three point lighting rig to produce a good quality render. This is the camera view of the scene. 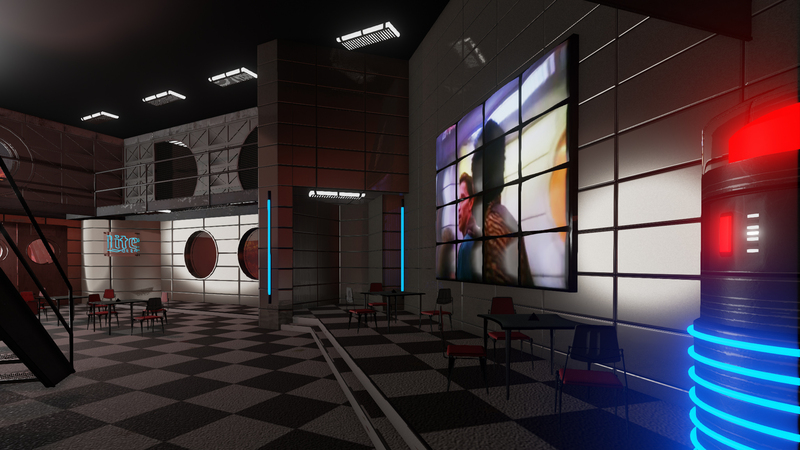 This is a render of the scene at 4K resolution. This is the end result that had the logo (designed by Hayley) and text information inspired by the Lovejoy flyer added to it. Although this flyer was not used to promote our event, it proved to be a good source of research and development for myself. Professional Practice: Logo design ideas. 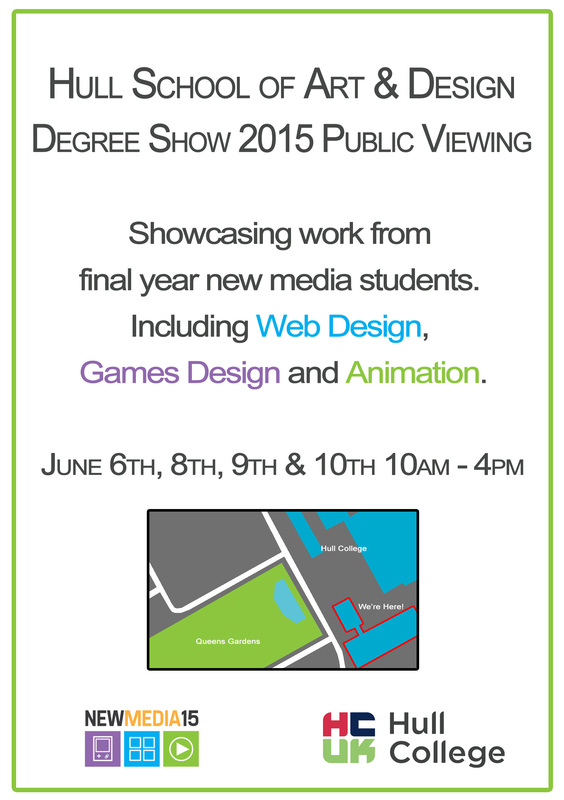 As part of our Professional Practice module we are responsible for the set up and promotion of our degree show. As part of this I was one of a few other students who were in the team tasked with designing the logo and banner design. 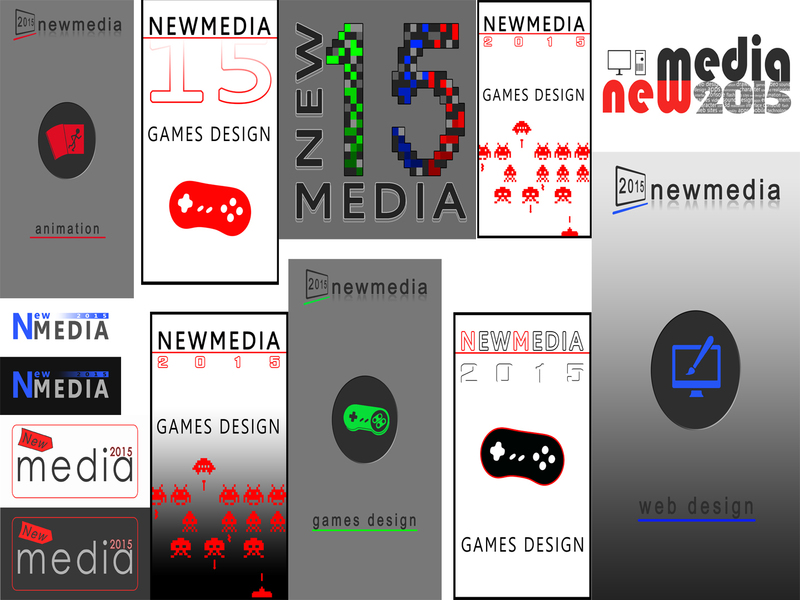 There are three design degrees that need to be represented in our designs which are; Animation, Games Design and Web Design. Here are the ideas that I produced. Western Client Project. Building Progress Update. 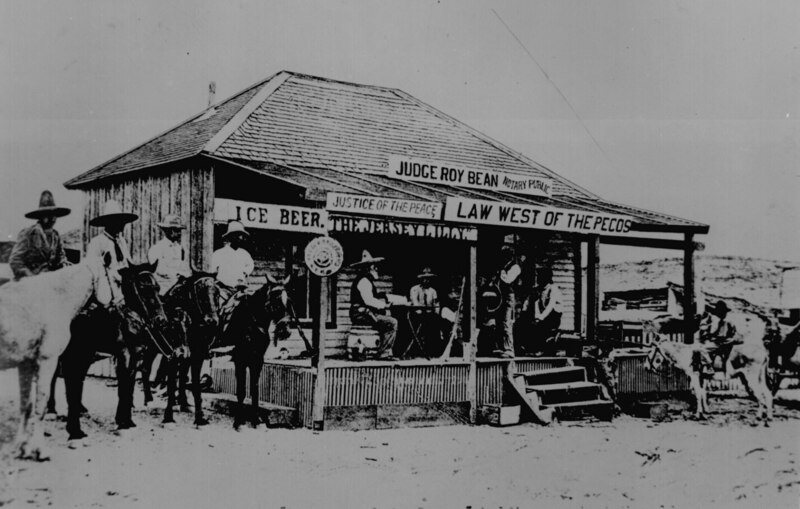 As stated in the brief; several burnt or partially burnt buildings were required within the town. 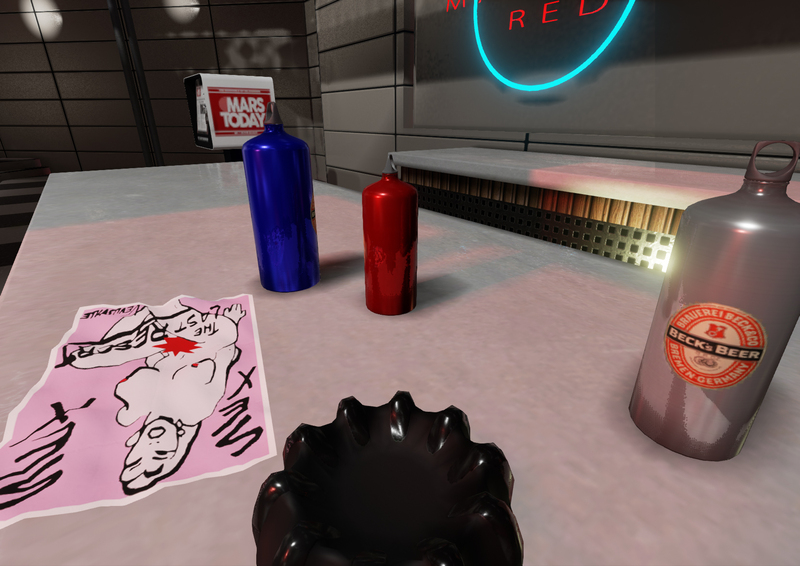 I decided to create a small generic building as well as a partially burnt version of it, these buildings were base upon the one that can be seen in the photograph below. 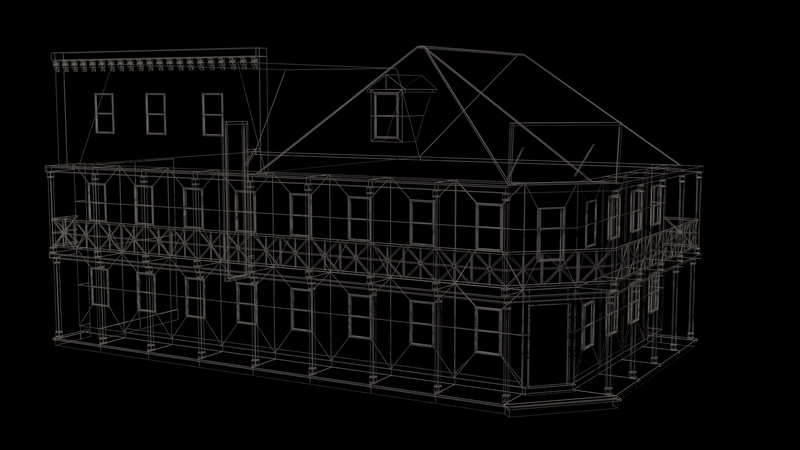 This is the partially burnt building rendered in 3Ds Max which shows the textures and the wire frame of the model. This is the undamaged generic building which could be a small domicile for example. 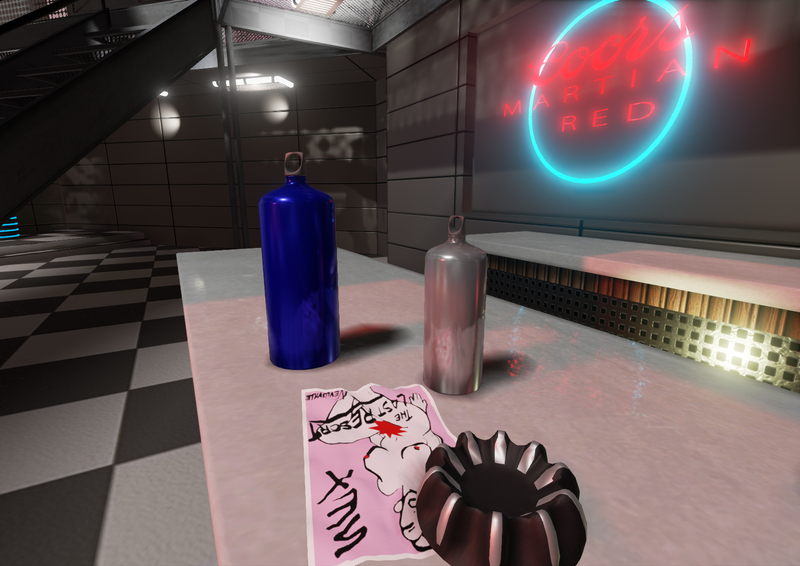 Below is the diffuse and normal textures that I created for use in the UE4 game engine. 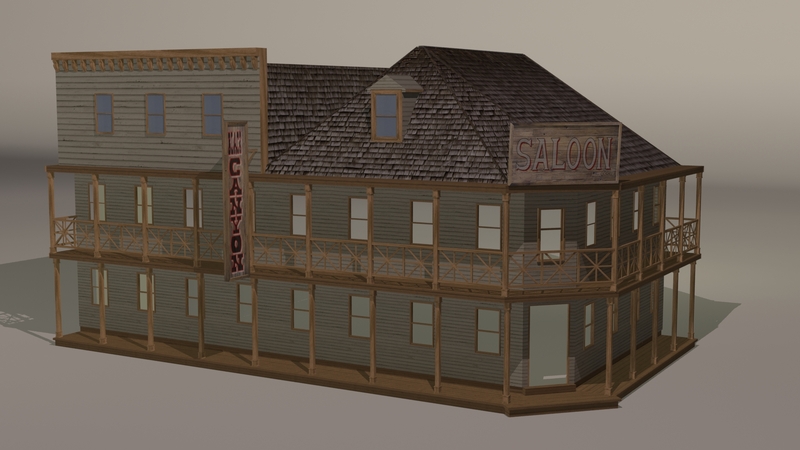 There is also an update of the saloon that I have been working on, all done and in our environment now, this shows the exterior of the building along with hand drawn signage that was manipulated in Photoshop to create a look that is in keeping with the period. 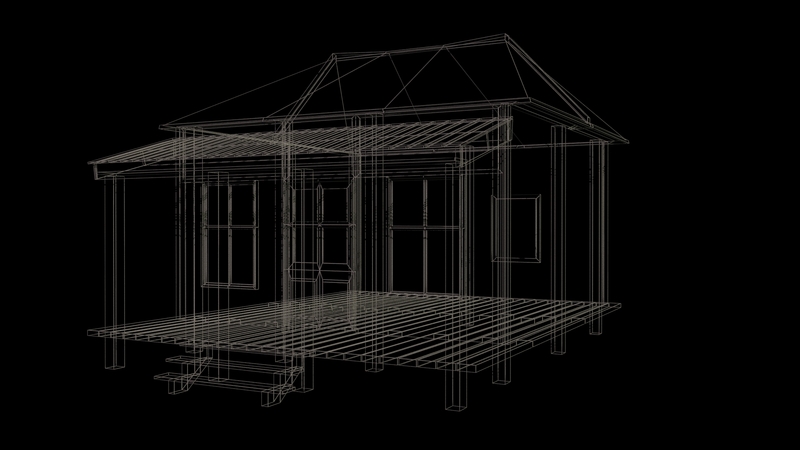 Self-Initiated Project: Environment Production Research. 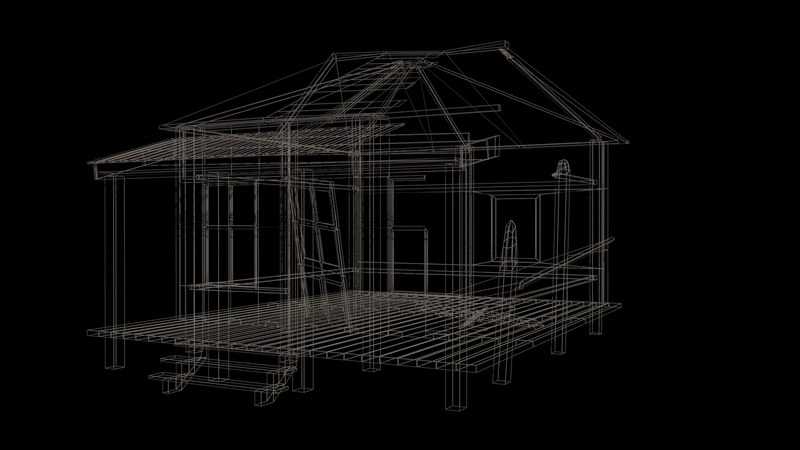 Although I have recently been working on our year long group project, in which I have learnt quite a lot about asset and building construction within 3D design software; I would like to take this process a step further for the Hashima Island project by learning how to create a broader selection of models to give a more in-depth and realistic experience to the viewer/user. 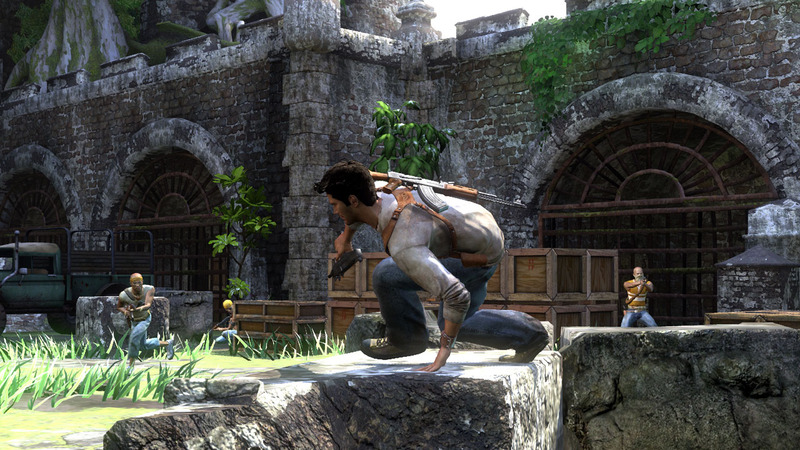 One of my favorite adventure games is the Uncharted series, since the first episode of the game was released back in 2007 one of the main features of the game that really stood out was the levels of detail within the surrounding environments. I looked up some of the designers of the Uncharted games and found a good article on the Naughty Dog website that gives an insight to the design and production process that takes place when designing a realistic 3D environment. 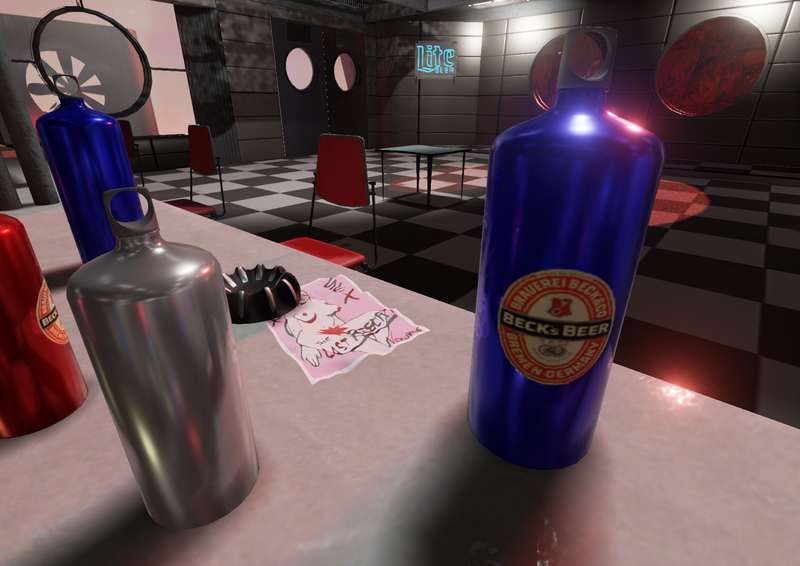 To achieve a realistic interactive environment for our group project I looked into adding a static human asset into our environment; this was achieved but the end result was too mannequin like. So to push the project on into the second semester I will be looking into the development of animated human characters which will populate and move around our environment. 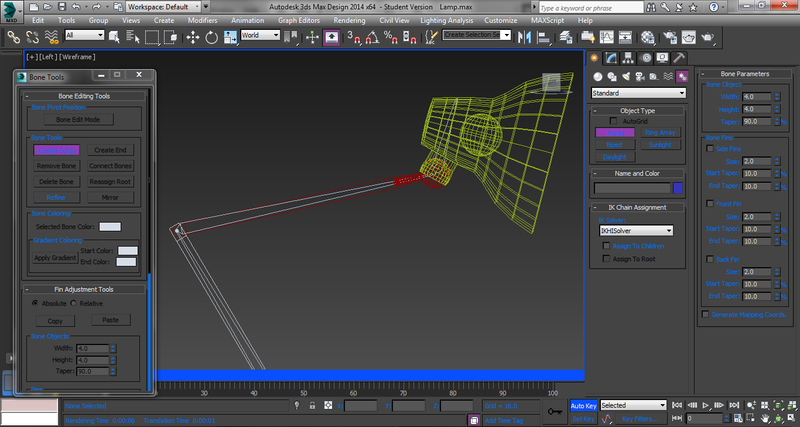 To be able to move the limbs, head, etc., of an animated character or object bones have to be added to your model. 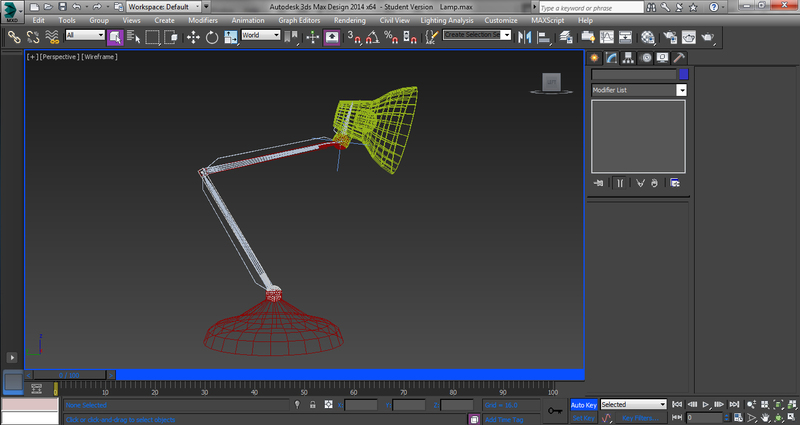 To get me started I followed this YouTube tutorial by CG Swot that showed the bone tool being used to move a desk lamp. 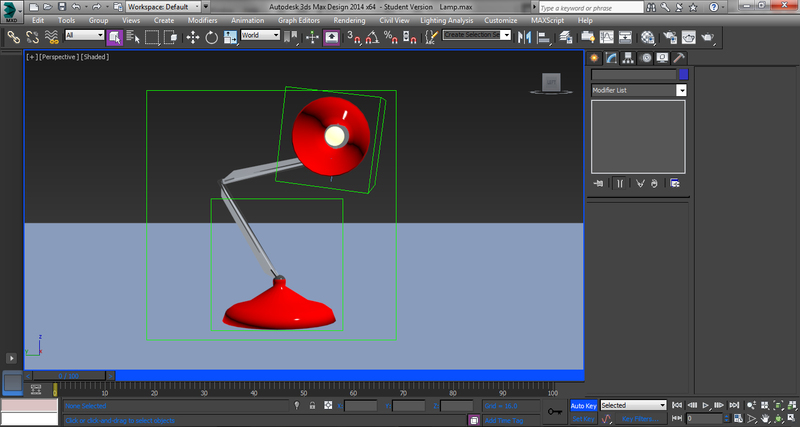 First I made a model of a desk lamp with three pivoting joints (much like a human arm). 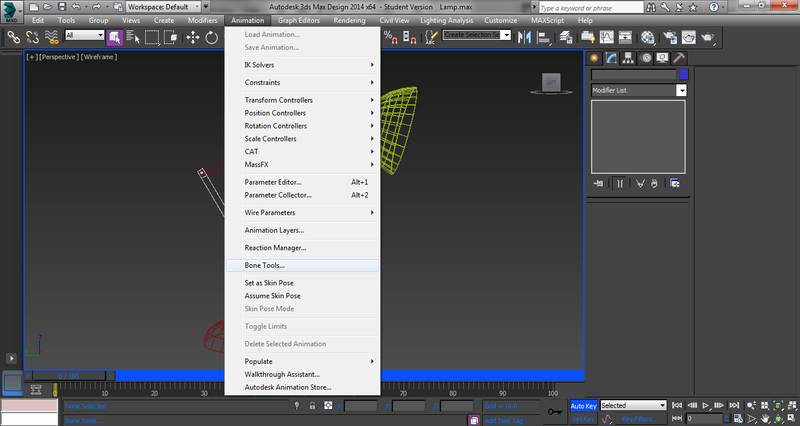 Then in the animation tab I selected the Bone Tool and then selected Create Bones. I then clicked at a joint to start the bone then clicked at the next joint to end the bone and to start a new one. This gave me a total of three bones for the lamp, the same as a human arm (upper arm, lower arm and wrist). 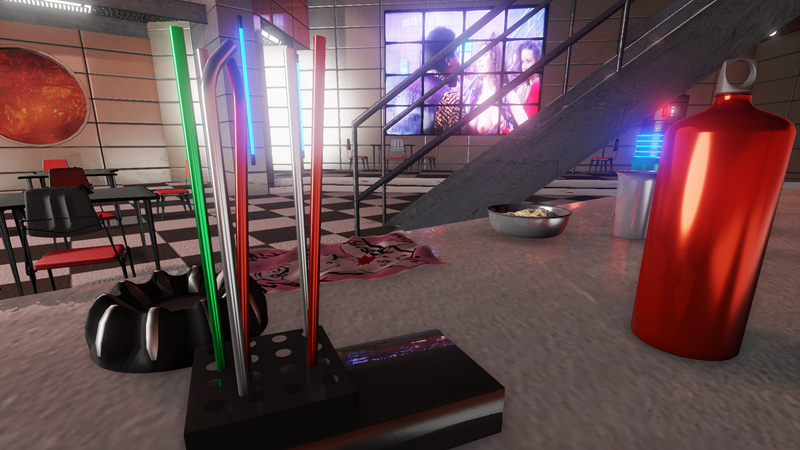 Next I connected Dummy helpers to the parts of the lamp that need to be moved and rotated, the Dummy helper helps keep objects connected to it move with it without becoming detached from each other. 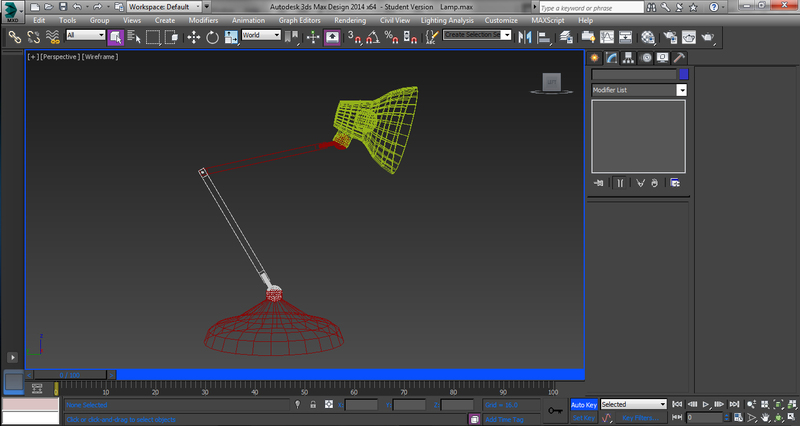 I also added some quick materials to the lamp and a lighting set up in order to render out an animation of the end result.